Now Dex is walking, I want to take him everywhere to practise! 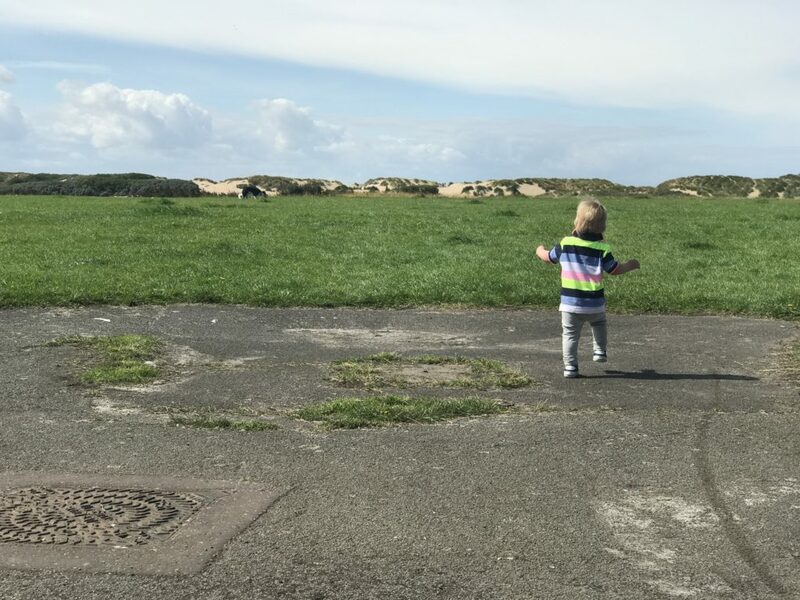 He’s got his lovely new shoes from Clarks and this weekend we went to Crosby Marina to run on the grass, watch the planes fly overhead and see the boats sail past. Dexter just loves taking in the world around him and ran around waving at everybody and everything! He absolutely does not want to hold my hand and is as independent as can be. After an hour or so though he got tired and grabbed hold of my leg begging for me to carry him. This never happens and I took full advantage of the heavy carrying cuddles!